Customize the SMS that your customers receive. 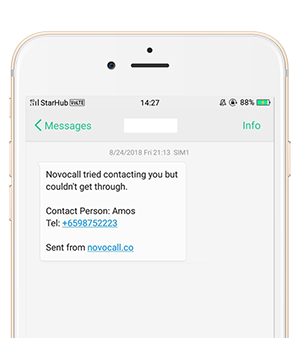 In the SMS Configuration tab, you'll be able to configure the SMS your callers receive after a successful call or a missed call. After each successful call between call rep and caller, the caller will receive a personalized SMS. 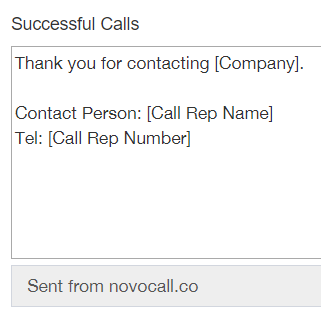 where [Company], [Call Rep Name] and [Call Rep Number] are placeholders for real details.